On his return to Janakpur, Richard (now Radhanath Swami) was fascinated to meet a young, friendly Nepalese student Vishnu Prasad. Vishnu Prasad was enchanted by Richard (now Radhanath Swami) who was an American and had taken to the life of a sadhu. Vishnu Prasad invited Richard to his home. Richard was cordially greeted and served by all the family members; he was served with sumptuous meals and considered to be part of the family. Uncles, aunts, and cousins all lived under one roof, but Richard (now Radhanath Swami) never heard a single voice rise in anger. They had nothing but respect for one another. In the morning, the children respectfully touched the feet of their parents, and the parents, in turn, offered blessings. No matter what their age, the children, even the teenagers, were naturally obedient to their elders and the younger children showed honor to the eldest son as the representative of the parents. Having been brought up in 1960s America, Richard experienced this teenage respectfulness as a pleasant kind of culture shock. 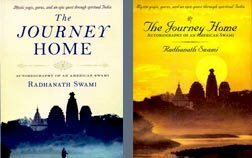 Radhanath Swami recollects in his autobiography that each morning and evening, the family members would gather together for worship ceremonies in their small temple of Lord Rama in the center of the home where, during the day, the women performed various devotions. Radhanath Swami found nothing but happiness in their home. 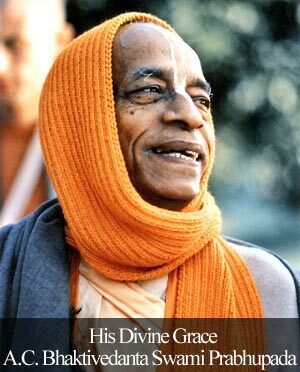 Radhanath Swami observed that every evening they would come together and perform devotional service united in spirit of love of God. From these gentle souls Richard (now Radhanath Swami) learned much about the traditions of family life in the East. I observed these devotional traditions on a visit to Remuna in Orrissa, Eastern India. We were a group of 170 young college boys on a ‘yatra,’ piligrimage to the holy place of Jagganath Puri and Remuna. We were on an hour long harinaam procession (a procession of congregational chanting of holy names of God) through the interiors of the village. For most of us Mumbaities, it was a pleasant surprise to see families come out of their houses excitedly and happily greet us, exuding natural warmth and spontaneous affection. Elders offered respectful ‘namaskar’, women blew conch shells to invoke auspiciousness, and little children happily joined in, thus declaring our presence there to be a festive event for the community. Some of us couldn’t help comparing this response with the fast paced city life where our harinaams usually attract cold stares. Sky rise buildings and apartments have ‘beware of dogs’ or ‘trespassers will be prosecuted’ sign hanging, and uniformed security men with their buzzer alarm and other high tech gadgets get alert, ensuring we don’t ‘intrude’ on anyone’s privacy. We stopped at our pre decided destination for dinner. Our host, Kamal lochan Das earns little from his traditional farming, and for a big joint family, he barely makes ends meet. He personally served all of us food and since it was dark now, he stood with a lantern to help us settle down for dinner. For generations this simple family, unknown to the world, has been serving devotees and piligrims. For the entire feast they cooked, they refused to take a donation to reimburse the costs. All of them happily joined us in kirtans, and many from the village also congregated. Later as we left the house and thanked the family, elderly Mr. Das, the head of the family, was in tears and made a heartfelt appeal to us to visit his house again. In Nepal, Radhanath Swami witnessed the last traces of this dying culture. Radhanath Swami often explains that spiritual life is simple and easy if we focus on service and pleasing others. I could vouch for Radhanath Swami’s verdict on spiritual culture for I personally witnessed Kamal locan Das and his family as a shining example of a dying tradition that is most effective to guarantee a happy life. In a fast paced modern life, for someone to throw open his doors to serve and feed such a large number of strangers is rare. In a couple hours we were gone, and we might never meet this family again. However for Das family, we were an integral part of their life filled with love and service. 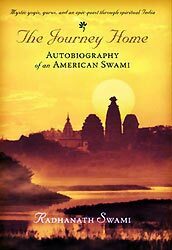 Reading Radhanath Swami’s book just confirmed my experience in Orissa, India as a special and rare event. By requesting people to preserve this culture of service, Radhanath Swami is giving spiritual vision for the smooth functioning of human society. A family that prays together stays together .I would be a nice alternative to be practiced in modern society in order to keep the families united .Tha has been the tradition of India and we find that families have stayed together for generations . They had nothing but respect for one another. That is all about being a wonderful family. The family culture in Eastern traditions really have a mood of servitude, compassion and tolerance. Radhanath Swami Maharaj explains the realizations from Nepal so well. The story from Orissa is a real inspiring one. Thanks for sharing. For one used to living in the fast paced city, this experience is really touching, and the spiritual life worth hankering for. Serving and pleasing others is the only way to achieve spiritual happiness. Thank you for sharing the essence of what spiritual life really is all about. What you are saying is absolutely true. Anyone with the attitude of true servitude to other living entities will certainly receive the mercy of god. Let us revive this simple spirit of traditional vedic india by making a start ourselves in our own lives. This Deeply touching incidence confirms that age-old Indian tradition of “Family that prays together…” and culture of respect cannot be replaced by so-called modern life-style & culture of consumerism. With God as center, we can experience real bliss even in this material world. We must follow & pass-on these values to next generation. For this & much more, we’re eternally grateful to HH Radhanath Swami Maharaj!! Amazing .. such a wonderful display of love and selfless service. Thank you for sharing. We should be really proud of our vedic culture!